Russia and Luxembourg are planning to join forces to mine for minerals in outer space, according to the Russian deputy prime minister. There have been more and more talks of sending humans into space in recent years, but the small country of Luxembourg is the first to establish a legal framework for mining. Russia, on the other hand, is one of the world’s leading suppliers of natural resources. So it could be a good partnership. 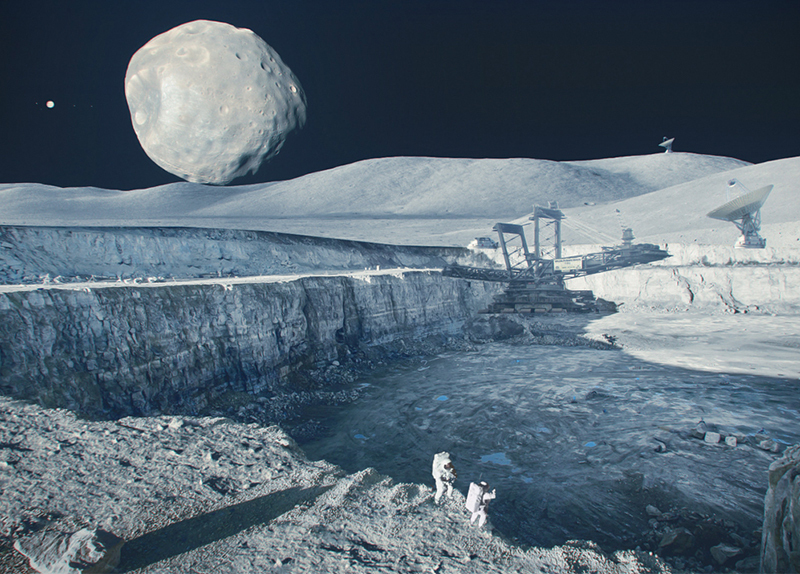 In January, they submitted a framework agreement to Luxembourg regarding mining exploration in space. In fact, we’re still far from mining asteroids or planets, and the means of bringing mined materials back to Earth is a big technological challenge. But many valuable metals and minerals are abundant on asteroids. These include cobalt, iron, nickel, and platinum, which are also necessary elements for the components of space vehicles. One idea circulating now is the construction of interplanetary “gas stations” that will facilitate the establishment of colonies on Mars. The mining of space seems to be one way of getting these outposts off the ground. As of yet, there are few international agreements about space. The 1967 Outer Space Treaty is the predominant law. It prohibits weapons of mass destruction and forbids governments from claiming resources. But this latest development signals the start of a new era of laws related to the exploration and exploitation of outer space. 1. Which country is Russia working with to mine for minerals in outer space? 2. Russia is one of the world’s leading suppliers of what resource? 3. According to the article, where are valuable metals and minerals abundant on? 1. Do you think humans should be allowed to mine for minerals in outer space? 2. Do you think the exploitation of outer space is necessary or should be avoided? 3. Before reading the article, have you heard about the country of Luxembourg before? 4. Do you think Korea should look into mining for outer space minerals?